I've just stumbled upon the read-only, used by 11 questions. My first evil idea was adding a want-write (which I of course didn't do). So I'm asking for a consent here: IMHO that tag should be burnitated.1 Opinions? 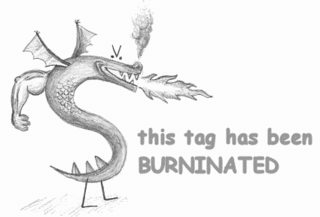 What does it mean to “burninate” a tag? IMHO it's useless. As you (@Izzy) said, the file-system is the appropriate one for this situation, preferably with a clarifying clause in the question body (or, even better, in the title). That's not to mention this tag (read-only) is nowadays a total misnomer except when it comes to the ARM TrustZone TPM chip firmware, which is (hopefully) burnt-in. Nearly nothing nowadays is really read-only with the correct tools. This tag should be done away with at the earliest. P.S. : What does "burnitated" mean?